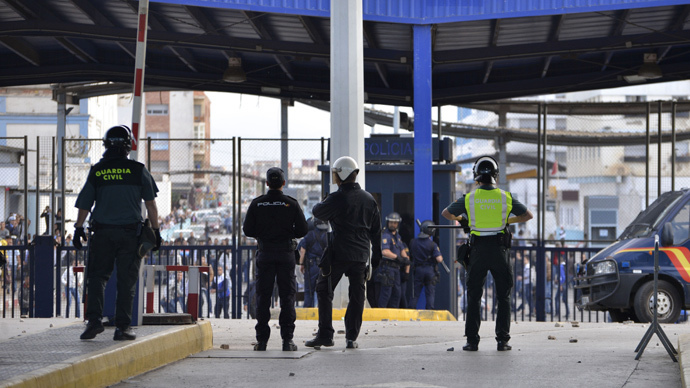 Madrid wants to see changes made to the treaty governing the visa-free Schengen area, which would allow Spain to introduce border controls to stem the tide of Islamic militants returning from the Middle East, the country’s interior minister has said. "We are going to back border controls and it is possible that as a consequence it will be necessary to modify the Schengen treaty," Interior Minister Jorge Fernandez Diaz told the daily El Pais in an interview on Saturday. "The existing mobility in the European Union is facilitating the movements (of jihadists) to any country and also to our country," he continued. The minister and his European counterparts are set to discuss the future of Schengen during a meeting in Paris on Sunday. Diaz is not the first European politician to consider revamping or altogether suspending the Schengen zone in response to the deadly attacks in and around Paris this week, which left 20 dead, including three attackers. Diaz further called for the establishment of a Europe-wide passenger name record data base, which would aid in sharing passenger information between member states. "We are convinced of the need for such a tool, to follow those who travel to terrorist operating theaters or who return from there," he said. He further said that the hate speech, particularly anti-Semitic messages and attempts to recruit young people to militant organizations, needed to be tackled online in a way that did not stop the internet from being a venue of free expression. "We need to work more closely with Internet companies to guarantee the reporting and if possible removal of all content that amounts to an apology for terrorism or calls for violence and hatred," he said. Fears of another terror attack in Europe are running high following the recent shootings in France. On Sunday, a report in the Germany daily Bild, citing intelligence from the US National Security Agency, warned that the events in France may be the first in a wave of attacks to strike Europe. The intelligence, reportedly citing conversations between Islamic State (IS, formerly ISIS/ISIL) leaders, said a series of European cities could be attacked, including Rome. The article, however, didn’t furnish details of a concrete terror plot. EU and US security ministers also met at France’s interior ministry on Sunday to discuss a joint response to terrorism in the wake of the Paris assault. The meeting was held just hours before a massive parade through Paris, where hundreds of thousands of people, along with dozens of world leaders, came in a show of solidarity and remembrance for those who lost their lives. Following the meeting, French Interior Minister Bernard Cazeneuve said European interior ministers had agreed to ratchet up cooperation in an effort to halt future terrorist attacks.